30th July, 2016 marked the celebration of the 3rd Convocation ceremony at the CCU, precisely at the Bali campus. It was a colourful event that brought together students from the four faculties, parents, distinguished personalities and well wishers. 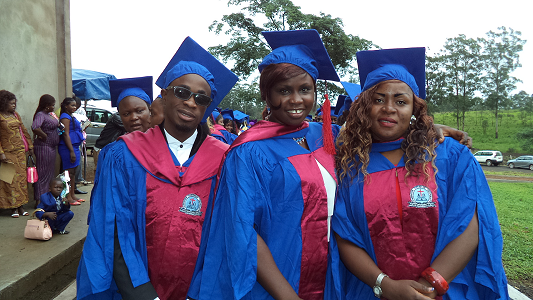 Worthy of note was the award of B.Tech degrees to the first set of Nursing students with the HND+1 conversion. In his speech, the Vice-Chancellor, Professor VPK Titanji said all hands were being put on deck to extend the HND+1 conversion to all programmes.